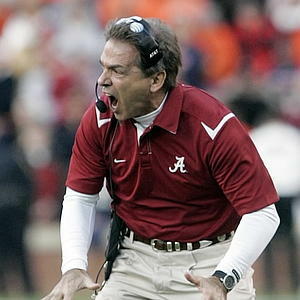 Is there much doubt after the 2011 season that Nick Saban is the greatest living coach and best coach since Bear Bryant? The addition of his third National Championship in 2011 brought him into a class all onto himself in the modern era. Since the beginning of the BCS era, only two coaches have won more than a single BCS title (Urban Meyer), but only Coach Saban has won three. To put him a more historical context, Coach Saban is one of two coaches to win National title at two schools, period. The other you ask? Paul Bear Bryant. It is said that a great coach is confirmed by his coaching tree and again Coach Saban is above all others in this respect in the modern era. Jimbo Fisher and Will Muschamp are direct disciples of Saban. It says a lot that they are coaching at Florida State and Florida, respectively, considering these are two of the premier programs in the country. If you take the three national championships between the two schools, which when you add it to Saban’s three titles, translates into six BCS championships for the Saban coaching tree. To put that into perspective, Coach Saban’s tree runs (or ‘has’ in the case of LSU in 2003) programs that account for 6 out of the 14 national championships(That isn’t even including the 2007 LSU team that Coach Saban hand delivered to Les Miles, who has been riding Saban’s coattails his entire time in Baton Rouge). Coach Saban’s tree is far from done producing fruit as the former OC (Name) is in his first year at Colorado State and Kirby Smart will probably be named the head coach at a major program(Georgia?) sooner rather than later. If you aren’t impressed with his ability to produce quality coaches, you have to be impressed with his ability to produce NFL players. In seems counter-productive to go anywhere but Alabama if you want play in the NFL. In the last 3 years, Coach Saban has produced 10 first round draft picks (aka 10% of all first-round picks), including five Top-8 picks (aka 21% of all Top-8 picks). 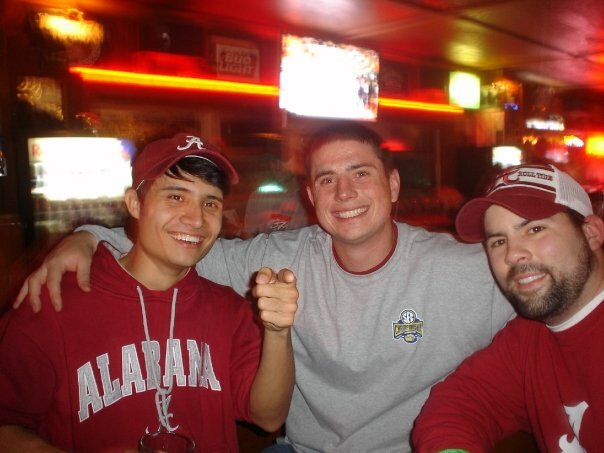 Like Saban says, this is only the beginning, as these represent his first three recruiting classes. And from the looks of his recruiting classes from the last few years, the spigot of top-flight talent isn’t getting turned off anytime soon. Even though Coach Saban has been wildly successful on the field and on the recruiting trail, the NCAA has not made allegations of violations occurring while he was head coach at any of his head coaching stops. This is quite impressive in the modern era when sustained success is usually closely followed by NCAA sanctions. His time may be coming, but all signs points to his success coming from his dedication to the craft of coaching and ability to turn talent into NFL players and not by handing over duffel bags full of cash ‘Blue Chips’ style (I am looking at you, Gene). Every great talent has his detractors, but as the wins and championships pile up, it will be hard for any sane college football fan from not considering Coach Saban as one of the best that has ever done it. Coach Bear Bryant was the greatest coach of my parent’s and grandparent’s lives, but it is undeniable that Coach Saban is my generation’s Bear. They both demanded their players to completely devote themselves to the art of football and pursuing greatness in all of their pursuits. I understand that their have been other great coaches in the history of college football, but I believe that Nick Saban reached the rarefied air of the Mount Rushmore of greatest of college football coaches of all-time. I agree that he is the greatest coach in the game, but it’s quite a stretch to credit his coaching tree for championships that were won before they became coaches at the schools in question.